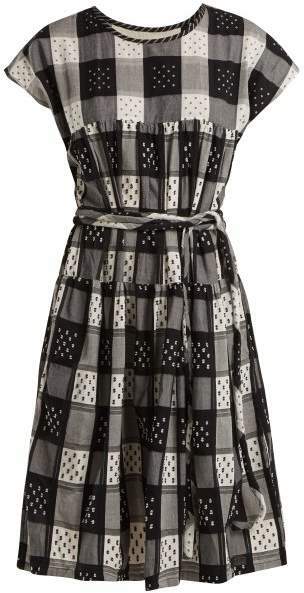 Ace & Jig - Brooklyn-based Ace & Jig's black and white cotton Austin dress is finished with squares of fil coupé that will impart your look with a modern bohemian mood. It's gathered from the bust and it has a tiered hem panel, while the loose fit can be cinched with the detachable ties. Style it with raffia accessories to complete a carefree daytime look.